Europe in the age of imperialism. Internationally operating investors aim for the highest political influence in Europe. By giving credits they gain influence over the six imperial nations Great Britain, Germany, Russia, Austria-Hungary, Italy and France. These nations desperately need money to build up their economy and to buy troops and fleets. With their growing power in Europe, they collect more taxes and pay their rising interests to their investors. Because the six imperial nations are under changing influence of different investors, strategic alliances and conflicts arise between them. Sometimes this even leads to war! The players represent internationally operating investors who stay in the background. 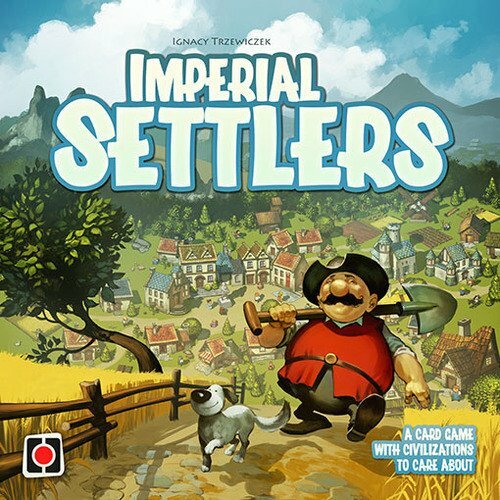 The turns in the game are executed by the six imperial nations, not by the investors themselves, who only impose their financial influence on various nations. Only the investor who gets the best return on his investments, who gains influence over the most powerful imperial nations, and who can influence the European diplomacy to his benefit, will win the game. Imperial is a challenging strategy game without any luck of cards or dice.